Rich Seipp would long for the weekends growing up. These respites gave him an opportunity to get out of town and cruise around on his bicycle, passing through endless miles of English countryside. His passion for cycling continued to play a big part in his life once he grew up, and it’s something he has also passed down to his 11-year-old son Tom. Rich and Tom aren’t just taking simple leisure rides to benefit from the fresh air or exercise. 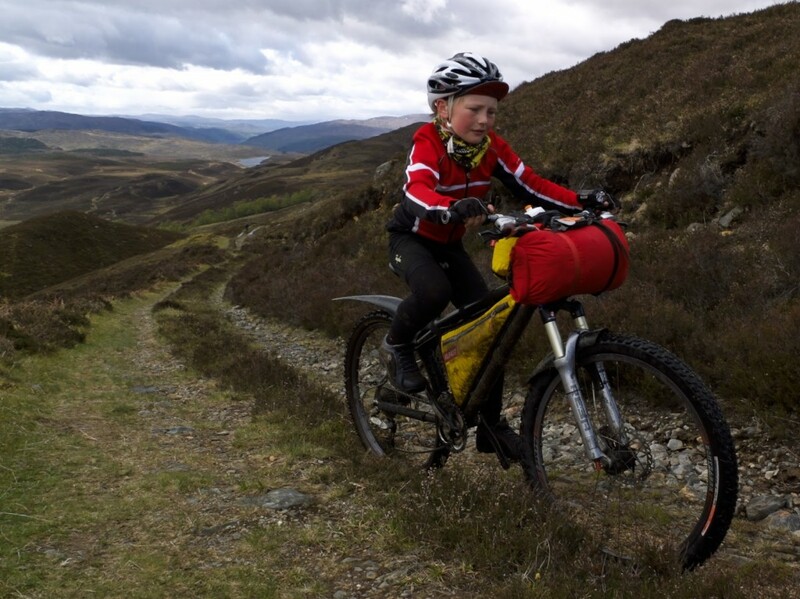 The father-son duo from Hayfield, England, are putting their bikes and bodies to the test – rough terrain, thousands of miles a month of hills, rain, mud and cold. They’re getting ready for the Strathpuffer – an annual 24-hour mountain bike endurance event taking place in the Scottish Highlands in late January. The cold, wet and muddy competition is a brutal test, with 17 hours of the race being completed in total darkness. Rich has done the race before and warned Tom against it, but his son wouldn’t be dissuaded and rode “The Puffer” for the first time when he was nine years old – successfully biking 10 laps, 64.9 miles and 8,000 feet of climbing. He was awarded the Doug Stewart Award for Youth Performance, given to the best under-19 rider. “It’s great at the end of a ride to look back on the achievement,” Tom said of his accomplishment. That ride is a major part of the short film Tom Seipp – A Mountain Journal Short, which focuses on the boy’s cycling journeys. The film, which was named Best Adventure Sport Film at the 2016 Kendal Mountain Festival’s International Film Competition, is also part of Channel 4’s Life on the Edge series. While Rich and Tom will begin 2017 with the Strathpuffer, the North Cape 4000 will be the highlight of their year. Beginning on July 29, 2017, the 4,000-kilometre unsupported bicycle adventure starts in Florence, Italy, and culminates in Nordkapp, Norway. For the pair, it’s just another adventure they can enjoy together. Artist and filmmaker Natasha Brooks grew up in the rural Pennine Hills of West Yorkshire, England. Brooks and her siblings were usually found playing outdoors with sticks, mud and farm animals. They were also drawn to the nearby rivers and bodies of water, particularly in the summer months.